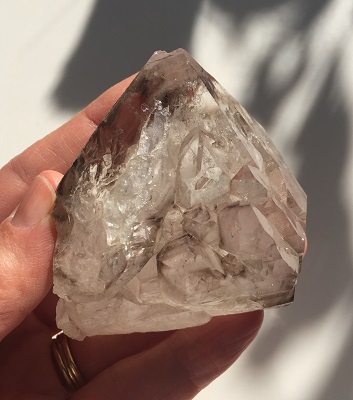 Stunning, transparent Elestial Quartz Crystal from Brazil with natural smoky phantom faceted terminations, etching, and layers that create the structure of this beautiful crystal. Smoky Elestial quartz crystal offers a powerful source of protection from negativity allowing one to reconnect to spirit while gently grounding them. Smoky Elestial Quartz Crystals energetically support those who are in transition from one phase of life to another. Smoky Elestial Quartz crystal’s centering and uplifting energies allows one to be present in their physical body with mental energy supporting the understanding and transformation of thoughts and emotional responses that may come to the surface after personal insight and scrutiny. Smoky Elestial Quartz Crystals have a gently flowing energy vibration that removes blockages while balancing the polarities and connecting heart desire to intellectual pursuit. 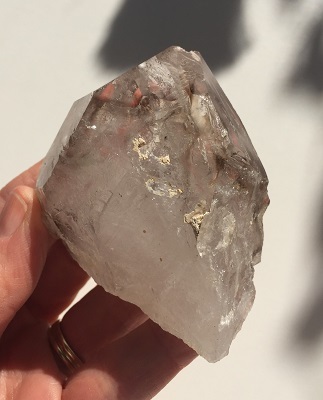 Smoky Elestial Quartz Crystal may be helpful in clearing up mental confusion, offering clarity, as well as, the release of negative assumptions. Smoky Elestial Quartz crystal is a wonderful energetic tool for self-empowerment, self-control, and perseverance resulting in the actualization of one’s full potential. 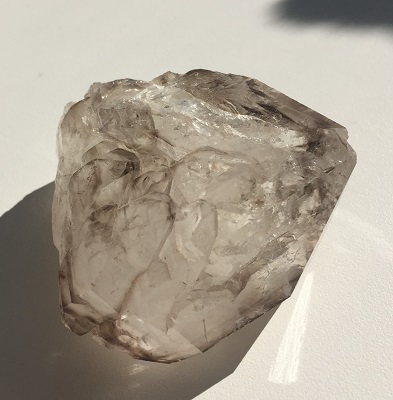 With its grounding energies, Smoky Elestial Quartz helps one move beyond mistakes and decisions of the past optimistically focused on the present and good intentions for the accomplishment of future goals. In healing, Smoky Elestial Quartz crystal is supportive for those suffering from “burn out” related to stress and drug usage. 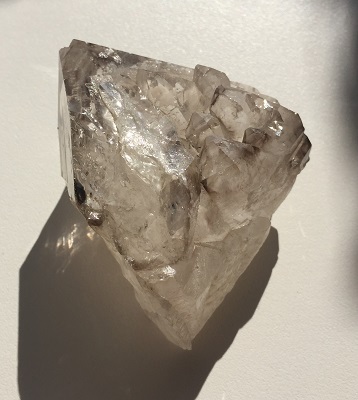 Smoky Elestial Quartz crystal may be helpful for restoring both mental and physical balance. Smoky Elestial quartz may be helpful with skeletal support, bone issues, and for ailments of the lower part of the physical body such as the abdomen, hips, and legs. Smoky Elestial Quartz is supportive for the reproductive system, muscle, and nerve tissue, and the heart.